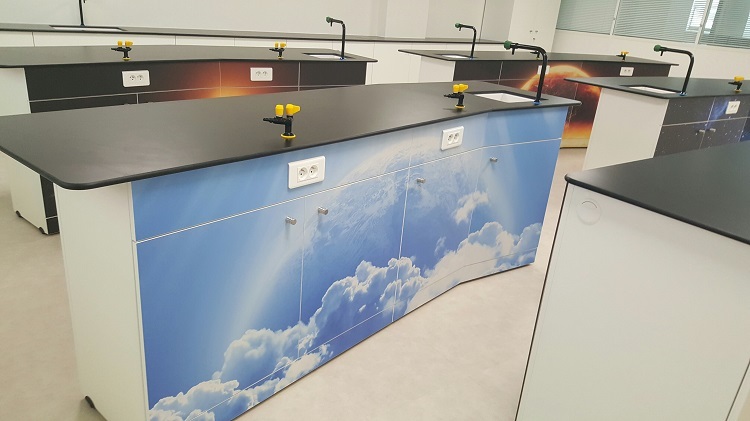 ecoDURA (High Pressure Laminate) HPL is an ideal media for may application, including; laboratory, education, or in industrial and hospital environments. 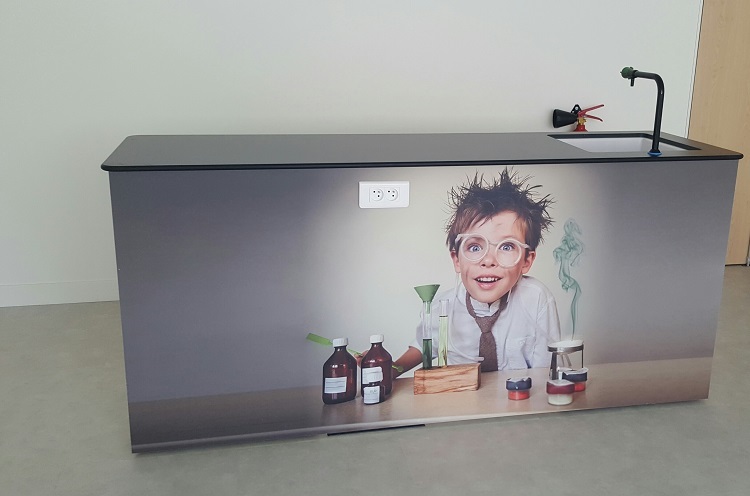 Table tops, work surfaces, doors or fascia panelling can have bespoke design content added to create a corporate look in industry or fun to a classroom environment. With the special performance properties including chemical, fire and wear resistance, it’s also inherently hygienic due to the density of its surface and the ‘easy clean’ nature. They provide a hygienic, durable and easily-maintained surfacing solution for the most demanding of environments. 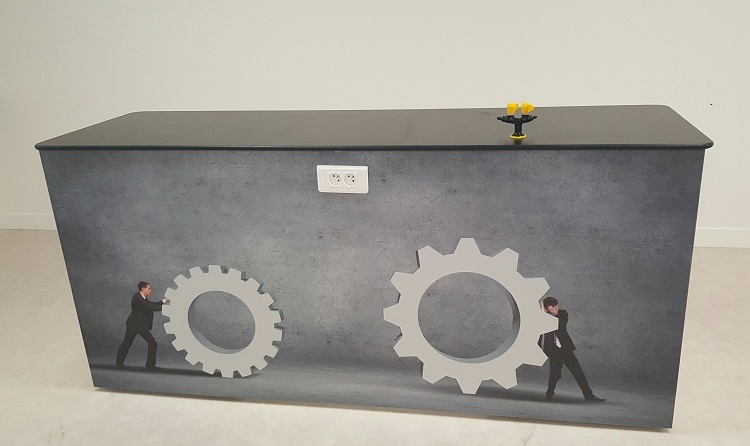 They can be CNC fabricated to shaped surfaces with absence of visible seams and joints that is applicable in environments where a hygienic, cleanable surface with a minimum of seams and crevices (offering minimal harbour for germs) is desirable. The inherent physical properties of ecoDURA HPL gives performance to help meet the strictest of cleaning and maintenance regimes, without the need for further additives or treatments. Because the surface is completely sealed, ecoDURA HPL is impervious to liquids and are very easy to clean and maintain. HPL surfaces are best kept clean simply by using water and mild detergent. Non-scratch liquids or creams are recommended for stubborn stains. They are resistant to steam and boiling water and are therefore ideal for applications where cleanliness and hygiene are important factors. 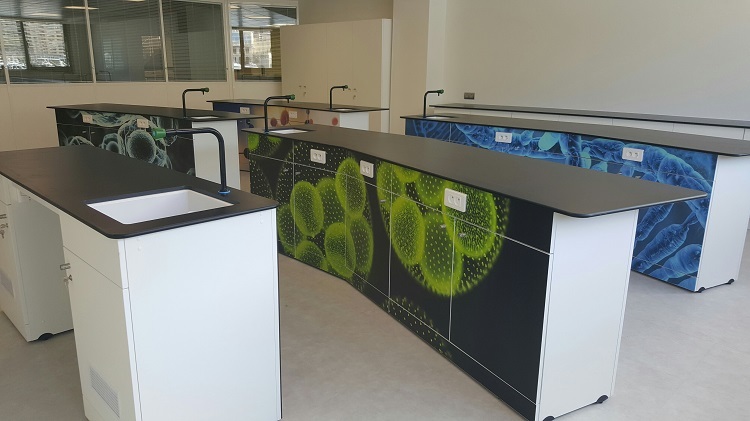 ecoDURA HPL is inert and does not support microbial growth and has no migration affecting food, easily meeting the requirements of EN 438:2005, which specifies resistance to staining by over 40 substances which are likely to be encountered in everyday use. These include tea, coffee, milk, citric acid, acetone, alcohol, fruit juices, detergents, bleaches and colouring agents. Predominantly 10 or 13mm grade is used in applications for these applications, although the 0.8mm can be bonded to a moisture resistance core board for using in ‘dry room’ areas.